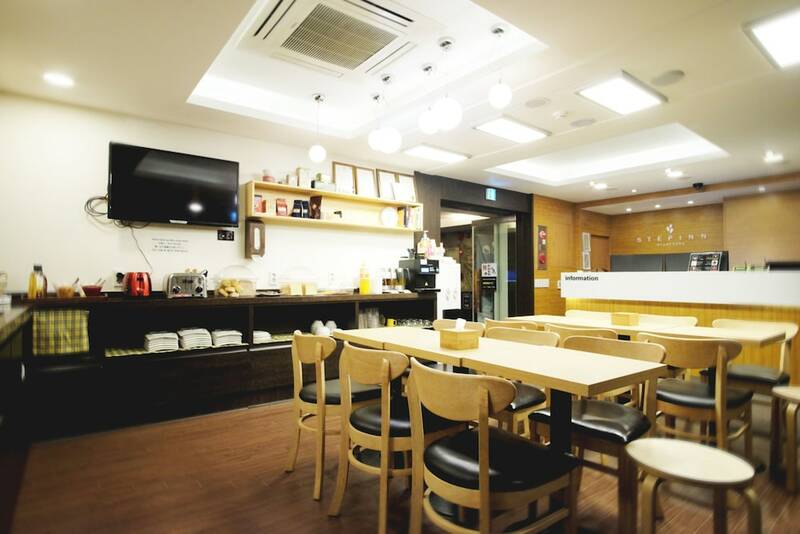 Located in Myeongdong, this guesthouse is within 1 mi (2 km) of Seoul Plaza, Myeongdong Street, and Gwanghwamun. Bukchon Hanok Village and Ewha Woman's University are also within 3 mi (5 km). This smoke-free guesthouse features a microwave in a common area, concierge services, and laundry facilities. Free continental breakfast and free WiFi in public areas are also provided. Additionally, a 24-hour front desk, a computer station, and express check-out are onsite. All 49 rooms offer free WiFi, refrigerators, and TVs with cable channels. Other amenities available to guests include rainfall showerheads, hair dryers, and showers. Housekeeping is available on request. A complimentary breakfast is offered each morning. A computer station is located on site and wireless Internet access is complimentary. This Seoul guesthouse also offers tour/ticket assistance, multilingual staff, and concierge services. A total renovation of this property was completed in March 2017. STEP INN Myeongdong 1 is a smoke-free property. Start your day with a free continental breakfast, available daily from 7 AM to 10 AM. Guests planning to arrive after 11 PM must contact this property in advance to arrange check-in. Please contact the office using the information on the reservation confirmation received after booking. One child 5 years old or younger stays free when occupying the parent or guardian's room, using existing bedding. Only registered guests are allowed in the guestrooms. No pets and no service animals are allowed at this property. Alcohol is not served at this property.